Human resources is experiencing a massive shift. For years, organizations have relied on a single annual engagement survey to collect feedback from employees. These surveys have become a ritual for many companies, and a lucrative industry has sprung up around them. But after all these years, 81% of companies running engagement programs aren’t enhancing or maximizing them. And the field of HR is catching on. Today’s HR leaders are held accountable for driving business results. CEOs are looking for every way to use employees strategically, not just as the organization’s biggest cost center. And in the age of word-of-mouth and viral marketing, the CMO now also cares about what employees are saying about their organization. These new expectations present a huge opportunity for HR, but many HR leaders are struggling with how to meet these expectations and what changes they need to make to keep up with the business. We propose a business-driven approach to employee measurement based on the experiences employees are living at an organization to help better manage these experiences and to help employees become better equipped to make an impact. Organizations have been measuring engagement through annual or biennial surveys for years, and it has become the standard employee measurement process for the majority of global firms. But the current system is not producing a world of highly fulfilled and productive workers. So why aren’t engagement levels improving and what impact is this having on organizations globally? A wealth of data links employee engagement levels and business outcomes. Research by Harter, Schmidt, and Hayes (2002) and Winkler, Konig, and Kleinmann (2012) suggests that business unit-level engagement is predictive of future customer experience metrics, productivity, and financial performance. The U.S. economy may suffer as much as $550 billion of lost productivity annually due to poor workplace experiences. In Europe, it’s estimated that, on average, disengaged employees take more than six sick days a year compared to less than three for engaged employees. Another obvious cost is replacing employees that have left the organization. The cost of replacing an employee can range from 20% of annual salary for a mid-level manager all the way past 200% for a CEO or senior leader. And yet, we know that engaged employees are 87% less likely to leave the organization than their disengaged peers and business units with higher aggregate engagement levels show substantially lower turnover than business units with lower engagement levels. Firstly, employee feedback is often only collected through the annual engagement survey, which, in our experience, is often more focused on executive presentations, hitting targets, and comparing metrics than on actually improving organizational behavior and engagement. Furthermore, many executives don’t know which employee experience targets to aim for. Maybe they fixate on how their engagement scores compare to high performing competitors or getting a “Best Employer” badge, while prospective employees are searching Glassdoor for reviews on what it’s actually like to work there. The inherent challenge of linking annual engagement survey data to business metrics like revenue, productivity, and profits only compounds the focus on targets over change. According to Deloitte’s 2017 Global Human Capital Trends report, nearly 80% of executives rated employee experience as important, but only 22% judged their own companies as excellent at building a differentiated employee experience. Connecting employee feedback data to business outcomes is possible but challenging, and the listening mechanisms used by organizations greatly impact their ability to do this. The single annual engagement survey, for example, doesn’t measure employees’ views at times that are relevant to them. This, combined with often lengthy messaging and communication around the survey event, means that these surveys are perceived as driving the agenda of the organization as opposed to driving the experience of the employees. These disconnects result in an industry standard that doesn’t generate the results it should. And yet, too few companies move beyond the standard. In our view, the primary reason for this is confusion about meaningful alternatives and how to better measure and manage the employee experience. The good news is that operational data about employees are becoming more and more accessible. This has led organizations to invest in analytical systems to facilitate data-driven decisions. However, these systems, and the skills needed to use them, often live in different departments. Market leaders like Adidas and Whitbread are setting up new “People Insights” teams responsible for consolidating the myriad employee-facing surveys under a single umbrella. Tesco, the number two global retailer went one step further and set up an internal “Insights” team, which fuses the customer and employee insights functions, hinting at their ultimate aspiration. Among the many challenges facing teams that connect these massive data sets, there is often a lack of “experience data” — human feedback — that can be generated internally and mapped against the more plentiful, operational data. Ultimately, the data mapping between operational and experience data could provide the missing link to connect employee experiences and business decisions. This connection has become a common end-goal among HR professionals. But there is still confusion about which employee measurement mechanisms are best, how to structure all of the different measurements, and how to connect these data to reach this end-goal. While engagement is indeed a foundational construct within employee experience management, traditional engagement surveys (when used in isolation) are not sufficient to measure the entire employee experience. Focusing more broadly on the employee experience allows organizations to gather data not only about engagement and its drivers, but about the entire employee lifecycle. Crucially, this approach puts a heavier emphasis on the perspectives and experiences of the employees themselves; a critical issue that impacts the likelihood that employees will provide candid and actionable feedback. We all naturally have unique needs and experiences in the workplace, some of which may be outside an organization’s control. However, we also each go through similar events throughout our employment that are heavily influenced by organizational policies and practices. Indeed, there are important touch-points that happen throughout every employee’s journey: the first day, the performance review, ongoing training, getting promoted, etc. These are all moments that matter at work! Think about the onboarding process at your current job. Did it equip you to do your job effectively? How quickly were you able to contribute fully to your team? How did the onboarding process impact your current attitude about your job? What changes could be made to improve the onboarding process for the next new hire? Do you find that process motivating? Did you actually have a conversation with your manager about your performance? If so, what was the nature of that conversation? Do you feel that the process motivated you to perform better in your job? Did it cause you strain and frustration? Did you have moments when you thought about leaving your job? Did you have an outlet to highlight these challenges to decision-makers in the organization so they could understand the impact this was having? Great organizations want their employees to have consistent, valuable experiences at critical moments like these. Employees also set their own expectations based on what they’ve experienced in the past and what they have seen in or heard about other organizations. The experience data collected at these moments can bolster an organization’s ability to create consistent and valuable experiences. Those experiences create engaged, happy, and productive employees. A common criticism of engagement is that, for many organizations, there is no established link between their employees’ engagement levels and business outcomes (despite compelling research in support of these relationships). We agree that there is an important link between employee engagement and business outcomes. But the annual engagement survey methodology makes it challenging for individual organizations to demonstrate this relationship. This challenge is largely driven by deficiencies in the traditional methodology, not because engagement itself is unimportant. In an engagement survey, actions (company practices) drive engagement (an employee attitude), which drives behavior. And behavior drives other outcomes. By measuring experiences, companies can gather direct feedback on specific company practices and drive the specific outcomes these practices impact. Gathering feedback on these specific practices, like onboarding, training, organizational restructures, or transformation projects, allows leaders to optimize those activities. Companies may have some operational data to track some of these outcomes, such as offer acceptance rates, onboarding and training spending, and regrettable turnover rates. But structuring employee feedback measurements — experience data — around each of these four employee-focused goals allows organizations to more easily use that feedback as a critical tool in improving their processes. Managing the employee experience is desirable, but it can also be daunting. We’ve identified three pillars for organizations that want to start managing their employee experience – Culture, Competence and Infrastructure. First, gathering employee experience data requires a new approach to employee feedback. It means building a “feedback culture” where leaders solicit and learn to accept feedback and employees learn their responsibilities in giving feedback. A feedback culture is a departure from the numerically obsessed “good” or “bad” scores in an annual survey. It’s not about getting better or worse scores than other departments or organizations, it’s about accepting and acting on feedback from employees. In a corporate world that fixates on metrics, this shift can be significant. Next, organizations must build and acquire the skills to not only collect, but also correctly interpret and act on employee experience data. More and more organizations are setting up dedicated employee insights teams that house the skills and systems needed to collect and analyze employee experience data. In addition, business leaders need to build the skills to interpret their reported data, discuss positive and negative feedback with their teams, and correctly prioritize areas for action. Every organization maintains unique employee systems. For some, simply obtaining an up-to-date list of employees working in the company can be a challenge. At the other end of the spectrum, others have a fully up-to-date HRIS system that automatically feeds into an operational data warehouse and survey platform. Reaching employees also differs vastly. For example, many retail and manufacturing organizations cannot reach their employees through the internet or a phone, while other organizations stretch the limits of technology to reach their workforces. These three pillars are essential. Maturity or immaturity in any one of them is neither good nor bad, but they are realities that impact any employee experience management program. Beyond diagnosing their own Culture, Competence and Infrastructure, organizations must identify the right mechanisms to collect employee experience data. No small task. Different mechanisms have different advantages in terms of agility, rigor and ease. Here are six types of employee listening mechanisms available to organizations collecting employee experience data. The placement of the various employee listening mechanisms can be mapped alongside the typical employee journey. Perhaps the biggest shift in an employee experience program is that it requires ongoing initiatives rather than one-time programs. However, no organization launches or should launch all of these concurrently. It’s even likely that the first version of the employee experience program — which may simply be a single survey — needs to be refined over time. That’s OK.
We encourage our clients to set both short and long-term goals to measure business impact. We encourage them to work back through their own Culture, Competence and Infrastructure to understand what training and systems they need. The final step is to layer on the right listening mechanisms. All of this requires courage from everyone in an organization. Executives must have the courage to embrace candid feedback and learn to accept the bad along with the good. HR teams must have both courage and impetus to design feedback programs to identify, measure, and understand experiences employees are having and make changes to their HR processes based on that feedback. Employees must have the courage to be honest with their feedback and trust there will be no reprisal from providing honest feedback. As with any organizational initiative that requires courage, there will be challenges and setbacks. 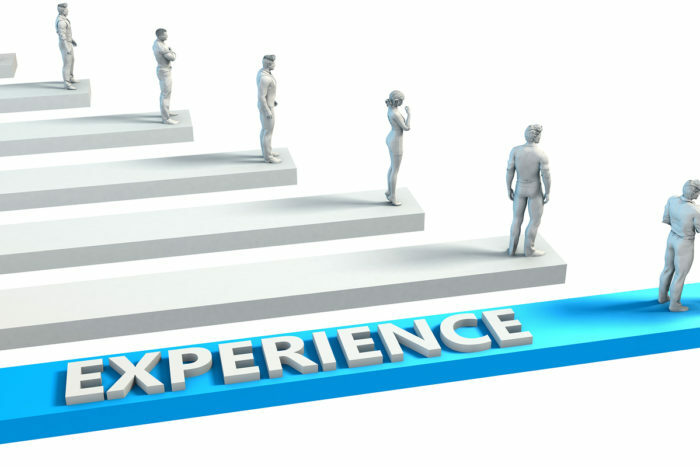 Nevertheless, the rewards of improving the employee experience can be massive. It’s an investment that will pay off for your employees. Just as importantly, it will pay off for your shareholders and your customers. Sarah Marrs is a Principal Consultant of Employee Experience at Qualtrics, and has dedicated her career to designing and running employee experience programs. She joined Qualtrics in April 2015, after working in-house at the global retailer Tesco overseeing their global colleague feedback program. At Qualtrics, Sarah works with clients to design employee experience programs that fit their business and drive value--through program and item design through to results interpretation. She specializes in helping organizations take the first step from running annual engagement surveys to more agile feedback types, such as Pulse, Adhoc and Lifecycle surveys. Prior to Tesco, Sarah was at the Hay Group, where she designed and delivered feedback surveys to many different types of organisations – banks, logistics companies, energy companies and more. Sarah’s a big believer in the power of listening to and acting on employee feedback, and always energised to talk about new and innovative ways to collect and act on that information. Dr. Benjamin Granger is a Principal Consultant for Employee Experience at Qualtrics. He provides expert guidance to global organizations implementing employee listening, assessment and change programs. Prior to joining Qualtrics, Ben spent several years on Verizon’s Employee Experience team where he led enterprise-wide employee assessment, engagement, and system integration projects. Ben has presented his academic and applied research at numerous professional conferences, such as the annual conferences for the Society for Industrial Organizational Psychology (SIOP), the Academy of Management (AOM) and the Southern Management Association (SMA). His research has also been published in peer-reviewed academic publications such as the Journal of Business and Psychology and the International Journal of Training & Development. Ben holds a B.S. degree in Psychology from the University of Louisiana, a Ph.D. in Industrial Organizational Psychology from the University of Southern Florida, and is a certified Lean Six Sigma professional.